Your Source for Creative Plastic Films. 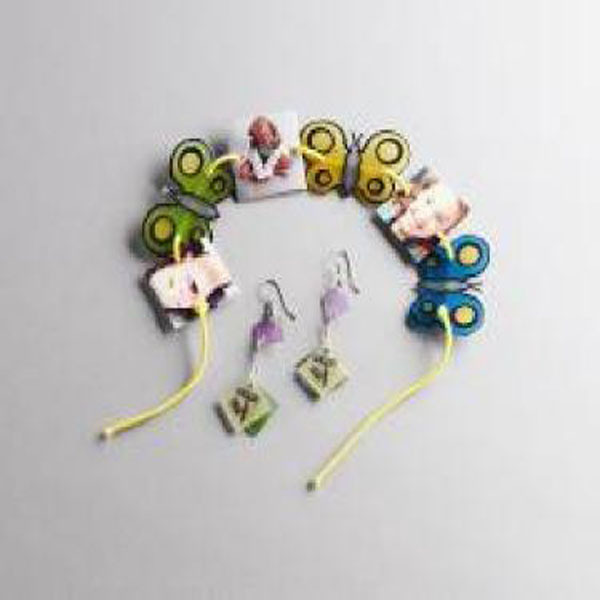 Project Description: Create your own custom bracelet by using Grafix Ink Jet Shrink Film. Print photos of friends, family, pets and clip art (here we used a butterfly from Microsoft.com) on your Ink Jet Shrink Film. Cut out your images and punch a hole in the left and right sides of the cut out pieces. Bake according to the instructions on the package. Once your pieces are shrunk, lace the cord through the holes to link them together. Tie a knot at the base of your end pieces to keep them from slipping off. We do not sell direct to consumers. retailers, both in-store and online. Copyright 2019 by Grafix Arts. All rights reserved.